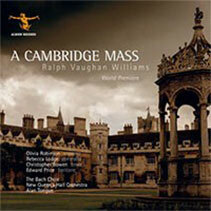 Alan Tongue writes: I came across Vaughan Williams’ exercise for the Cambridge Mus. D. in the University Library in Cambridge in 2007. 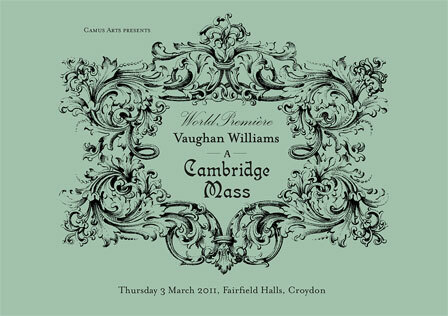 Immediately I was bowled over by the characterful themes, the rich counterpoint and the great variety in the work. It had clearly never been performed, judging by the number of mistakes. 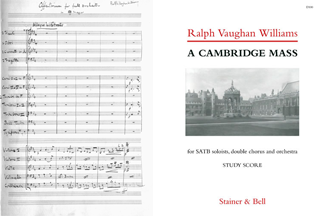 I soon obtained permission from the Vaughan Williams Charitable Trust to transcribe the work and quickly realized here was a masterpiece, not an academic exercise. There was no title to the work, so it soon became known as A CAMBRIDGE MASS. The work is now published by Stainer & Bell. 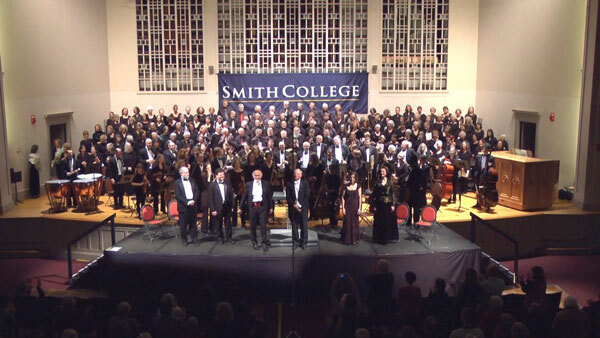 a) That it comprise some portion for one or more solo voices, and some considerable portion for a chorus of eight real vocal parts. b) That it comprise some specimens of Canon and of Fugue. c) That it comprise an instrumental Overture, or an Interlude, in the form of the first movement of a Symphony or a Sonata. 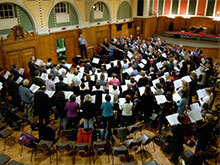 d) That the whole (except some single piece be for Voices alone) have an accompaniment for a full Band. 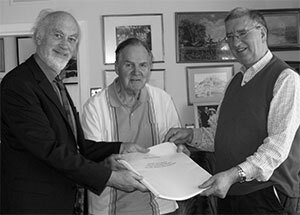 Alan Tongue presents the score to Michael Kennedy and Hugh Cobbe of the Vaughan Williams Charitable Trust. 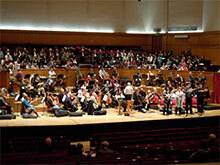 The world première took place at the Fairfield Halls, Croydon. 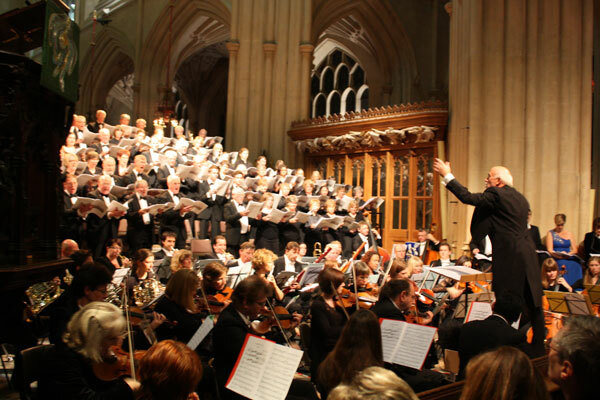 The Bach Choir and the New Queen’s Hall Orchestra took part, under Alan Tongue’s direction, and the soloists were Olivia Robinson, Rebecca Lodge, Christopher Bowen and Edward Price. 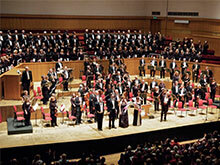 The Telegraph and the Sunday Telegraph awarded the concert 4 stars, The Times and The Guardian 3 stars.